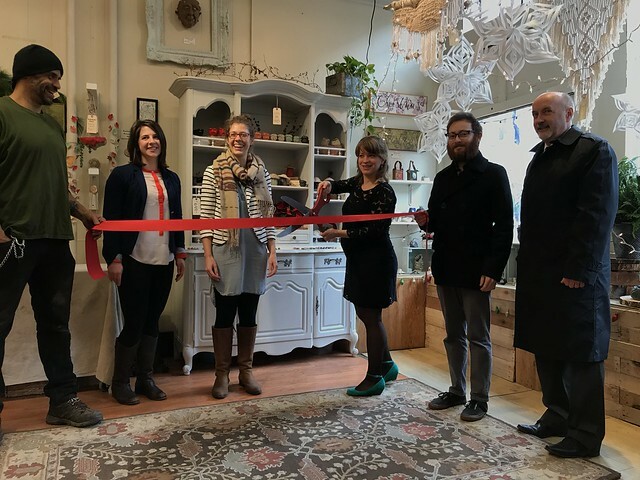 TROY, NY – On Friday, November 30, Mayor Patrick Madden joined owner Sarah Bowen, Downtown Troy BID Executive Director Katie Hammon, and Rensselaer County Director of Intergovernmental Relations Kate Better to celebrate the official grand opening of Twin Pots, a fine art and pottery shop in downtown Troy. The location at 13 Second Street, which resides within the Weathered Wood space, is Bowen’s first brick & mortar space. Twin Pots began as an online business, and spent several years participating in various outdoor markets across the Capital Region before establishing a retail location in the Collar City.